WPJobBoard does a lot more than listing jobs on your website. WPJobBoard is a fully-featured 360º applicant tracking system that’s easily and inexpensively installed without monthly subscription fees. Jobs are published using the powerful features of WordPress. 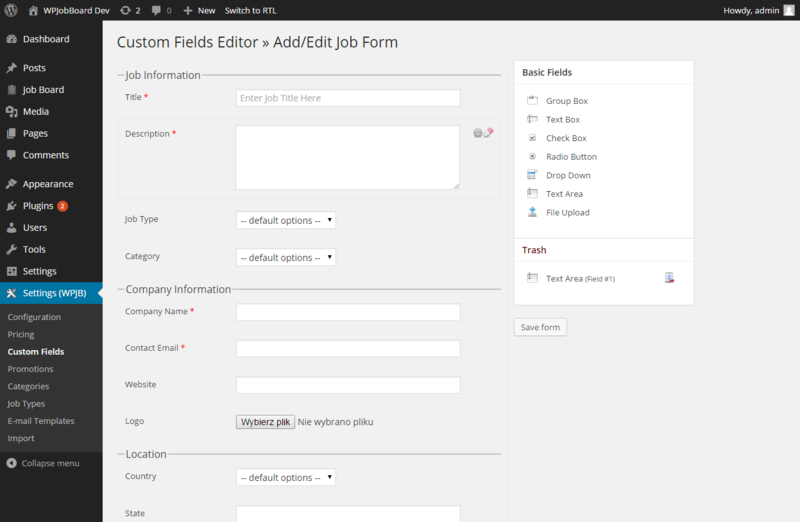 Applicants search for jobs and apply using easily customizable forms. Job creators and stakeholders create job definitions, see responses from applicants through email notifications and take advantage of all the powerful multi-user, role based, content management advantages built into WordPress. WPJobBoard provides job stakeholders, employers who need talent, with their own self-management portal. Once an employer is given an account they can create job listings on their own. Employers can submit jobs through interfaces that are easily customized. When people who are searching for jobs apply, notifications can be configured to be sent automatically to employers. Employers can then log in and see applicant information, resumes and candidate information. These self-managed features allow employers to take advantage of the power of WPJobBoard all on their own with the same easy-to-use interfaces that make WordPress the leading multi-user content management system top websites depend on. 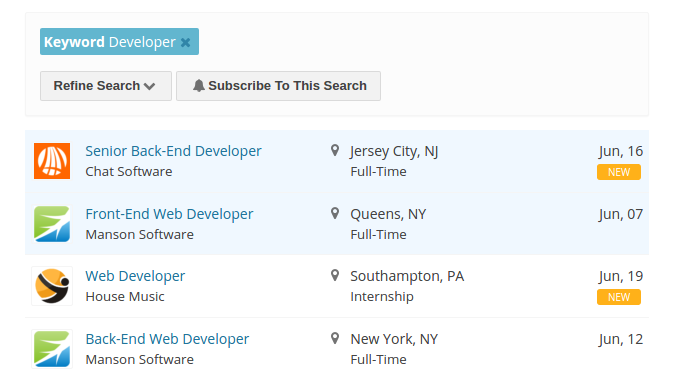 WPJobBoard adds jobs listings to your website. Attract needed candidates and show them the jobs they’re looking for. Instead of relying on expensive job sites and sending your candidates to find your jobs among competitors, keep them on your site. Get the talent without giving the control to someone else. Don’t link your candidates to job boards when they need to apply, sending valuable talent away when they want to join you. WPJobBoard lets you link job boards back to your site, turning the relationship around to benefit your site. WPJobBoard includes over 15 dynamic shortcodes, allowing you to easily build completely unique job boards that fit your business requirements precisely. Insert and control features only where you need. Hide features you don’t need. This level of flexibility allows WPJobBoard to integrate securely, precisely and lets developers meet expectations fast and trouble-free. Just like with the WordPress software, installing WP Job Board takes no more than a single click in the administration panel, and then another click to activate it. After purchasing the plugin, you’ll be up and running in seconds. WPJobBoard doesn’t limit your website to just a job board. Along with WPJB, you can still maintain a blog and take advantage of all the other features WordPress and its plugins and themes offer. You can keep your community and your blog, but you can add a professional job board. If you’ve already got what you believe is the perfect design for your website, you don’t have to give it up just so that your site can work with WP Job Board. 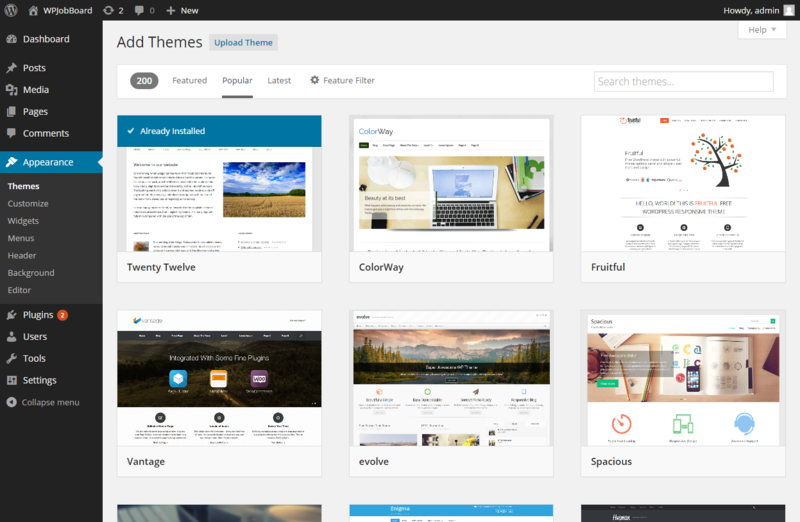 Our plugin works with all of the thousands of WordPress themes available today — both the free and the paid ones. WPJB also integrates with all WordPress frameworks, such as Genesis, Headway, Thesis, and WooFramework, amongst others. All job listings, resumes, and application forms are created with a powerful visual editor that makes the process both quick and painless. You’re given total control over the layout — the built-in drag and drop system makes creating application forms easy peasy! The built-in templating engine that WPJobBoard comes with allows you to redesign any of your job board pages just as you would like. The WordPress-like structure allows all current WP developers to be intimately familiar with the code once you start customizing resume or job listing layouts. The plugin comes packaged with several modification tutorials to guide you through the entire process as well. We understand that tackling an unfamiliar plugin in the WordPress interface, can at times, be a formidable task. That’s why we’ve gone to the utmost effort to provide top-notch customer support and also documentation. Any questions you might have at any time (technical, modification, configuration, or even a feature request) will be answered in no time at all. We’ll even go so far as to troubleshoot whatever problems WPJB might be having on your server! Once you become a customer, you also get access to our online knowledge base with documentation, tutorials, and a comprehensive user guide. WP Job Board comes with a unique feature that allows you to instantly syndicate your job listing on sites like Indeed, SimplyHired, and Juju to increase the number and range of applicants to each listing — the plugin will even auto-post new listings to your Twitter profile! WPJB also allows you to keep in touch with your applicants and customers, with features such as job alerts, job feeds, and email notifications.